Will Sky Movies content assist early YouView adoption? The UK's new on-demand television platform YouView has received a timely influx of new movies thanks to the arrival of new Sky's Now TV service. The £15 a month service brings unlimited viewings of over 600 films from the Sky Movies catalogue. There's a free 30-day trial available to new customers. Beyond the monthly Sky Movies Pass, you can buy movies on a pay-and-play basis from 99p. "If you love films you'll love the great range of pay movies available from Now TV on YouView," said the description on the YouView homepage. "Enjoy Sky Movies one at a time with Pay & Play or get unlimited access with a monthly Sky Movies Pass. Already got YouView? Find Now TV in on demand today and sign up for a free 30 day Sky Movies pass." 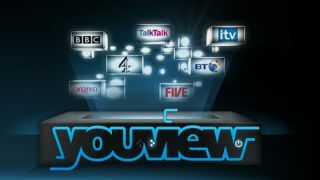 If you're an existing Now TV subscriber, naturally you'll be able to access that subscription through YouView. While the movies will offer a huge boost to the fledgling platform, the real boon will come when Now TV gets Sky Sports content. Will the arrival of Sky Movies content help convince you to sign up for YouView? Let us know in the comments section below.